Hello everyone! 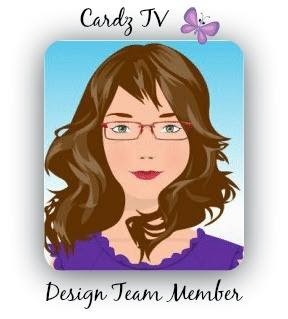 I am very excited to be back with the Cardz TV Card Designers for another term and back with the first card challenge of 2016. This challenge is to make a Valentine's Day card. I used the new Cardz TV stamp set called "Love Ya". This is one of my favorite stamp sets. So many cute love sayings. 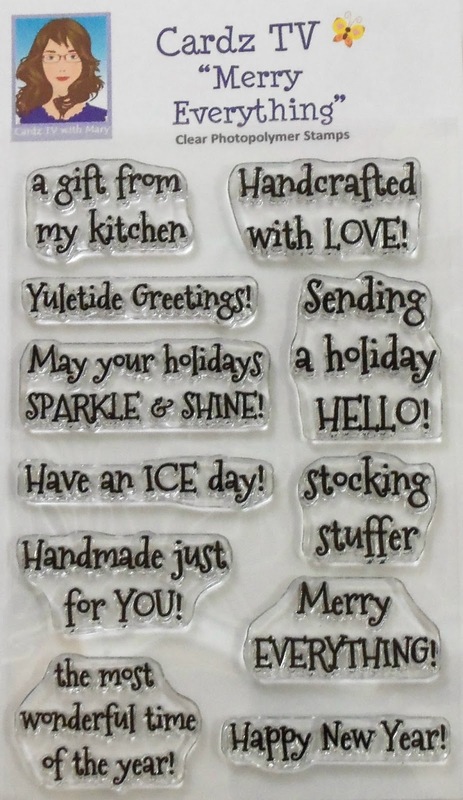 I also used Cardz TV "Merry Everything" for the sentiments on the back of the cards. 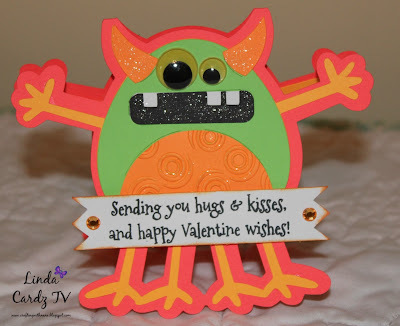 Please be sure to stop by Cardz TV and see all the wonderful design team projects and to enter your Valentine's Day card for a chance to win one of Mary's Cardz TV stamp sets. You have until noon EST, Thursday, February 11 to enter. The winner will be chosen by random.org. Many of you have asked, and no, you don't have to use Cardz TV Stamps to enter! We do ask that your entries be new projects...no backlinks please, and you may enter up to 3 times. I look forward to seeing all of your creations! 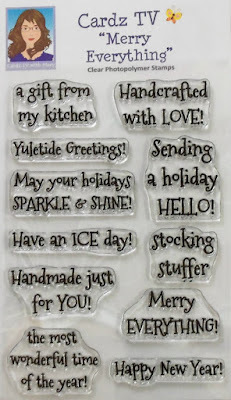 Stamps: Cardz TV "Love Ya" and "Merry Everything"
These are so cute and fun :-) Love the colour combos you used. These have to be the cutest lil monsters ever! 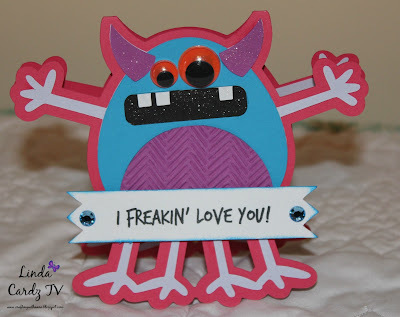 Like the whimsy Mini Monsters. They remind me of the wonderful Pixar movie Monsters Inc. 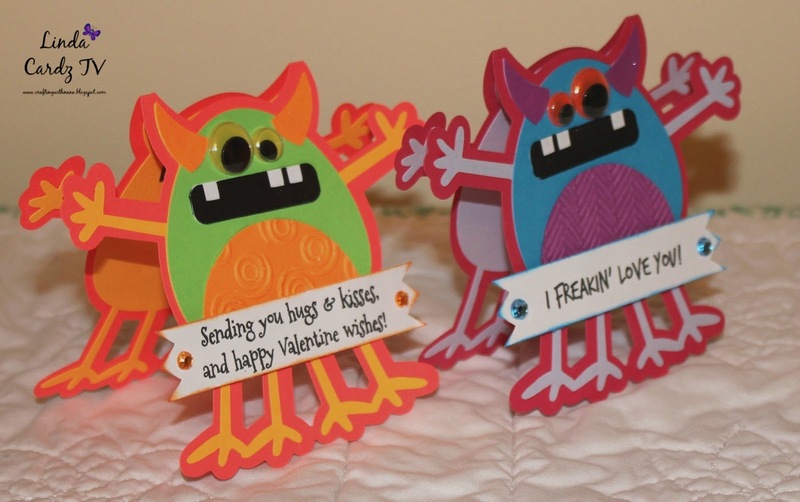 The sentiments go great with the monster theme. I've been a follower of your blog for some time. Have a BEE-utiful day! Awe.. How CUTE! They're all adorable! 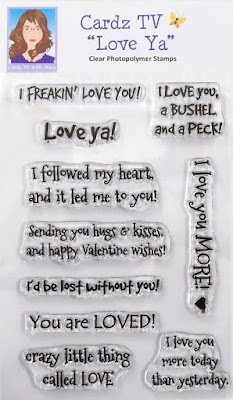 I freakin' love your card!! Mini Monsters is one of my little boy's favorite cartridges. Thanks for the inspiration and Have a great day! These are sooo cute!!! Love the colors and pretty embossing!! Have a great day.